You’ve got a home here! From writing to publishing your book. We’ve been home to thousands of self published authors for their various self publishing needs since 2012. We take the worry out of your ebook formatting for Smashwords, Amazon KDP, Kobo, Apple, B&N and IngramSpark. Love the look and feel of a real book? We can help! We offer professional print formatting for CreateSpace, Lulu and IngramSpark. 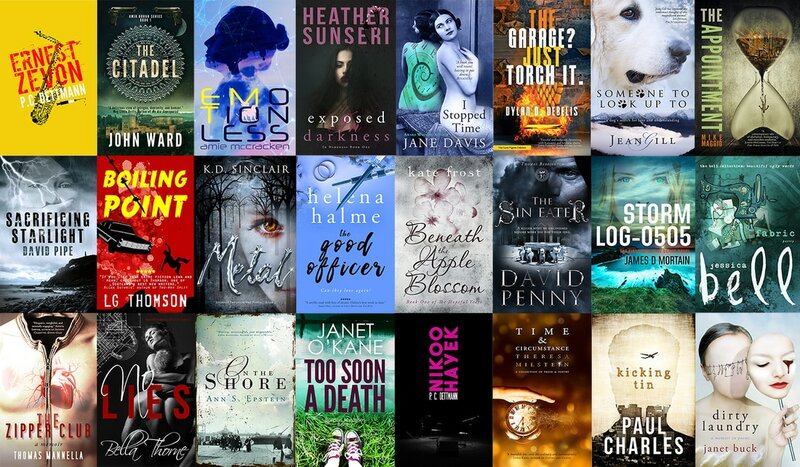 Our striking ebook covers are sure to sell more books. We’ll work with you until you’re completely satisfied with your cover design. You’ve written your book and it’s time to get it published either as an ebook or as a print book. Let us take the worries off you with our ebook and print book publishing service. Do you have a book inside of you? If so, let’s help you get it out into life and become a published author. We stand behind our services with our 100% Satisfaction Guarantee. We genuinely want you to be happy with our services. If for any reason you don’t like something, we’ll work with you to make it right or we will refund your money. It’s that simple. I was having issues with embedded text in the CreateSpace 6 x 9 template. I asked for a custom quote for a fix and for quite a reasonable sum authorscrib delivered a functional .pdf file that CreateSpace accepted within 12 hours. Wow! First, I NEVER expected to receive my order back so quickly, and second, I NEVER expected to receive the quality I received. I’ve been in a bad mood today but getting a quality order like this has lifted my spirits. If I do more print books, I MOST CERTAINLY will return! Authors Crib has done a fabulous job formatting my novel interior. The work came back in record time and was completed to my specifications. Many thanks for making this such an easy transaction. AMAZING JOB!! !Will be using again! Author of the "Hoverboard Business"